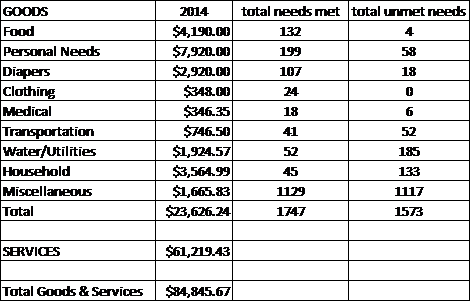 This first table summarizes the activities of Love in the Name of Christ in Marion County, OH during 2014. 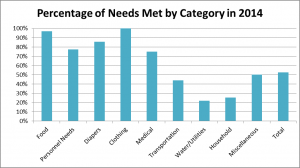 In the first column “GOODS” and it’s subheadings detail the common categories of need requested by people in the community. 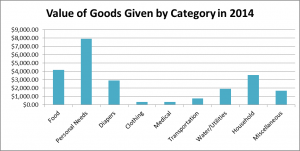 “SERVICES” refers to the monetary equivalent of all volunteer hours provided throughout the year. 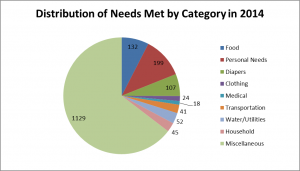 “TOTAL GOODS & SERVICES” is the total of tangible assistance and volunteer services provided. 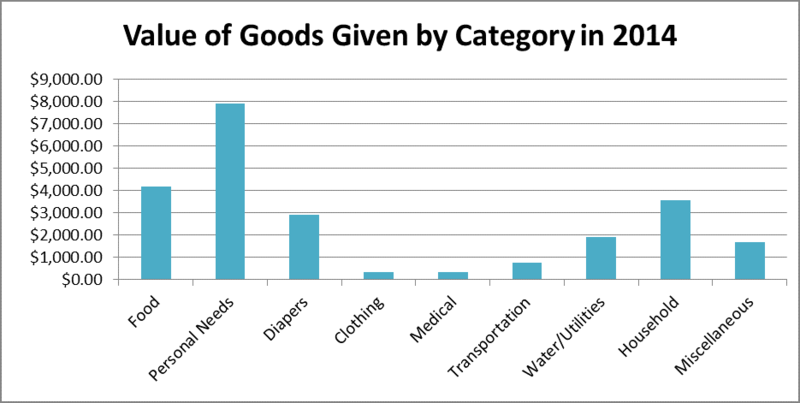 The “2014” column lists the actual cash value of goods and services provided. 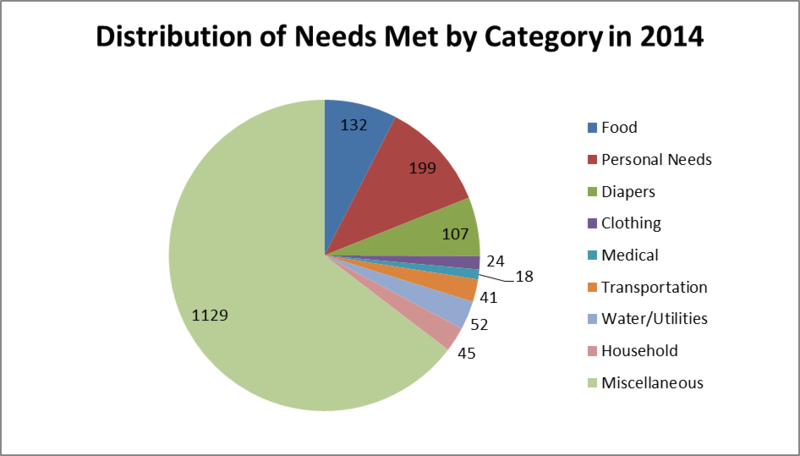 The “Total Needs Met” column provides the number of all need requests that were fulfilled throughout the year. 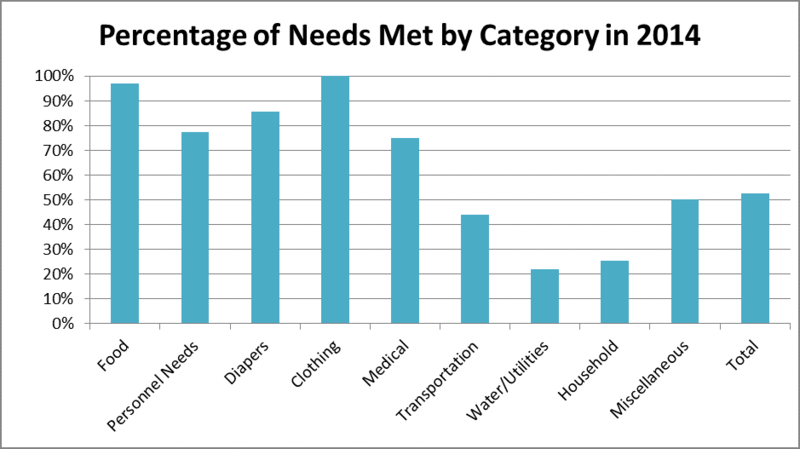 Similarly, the “Total Unmet Needs” column tallies the number of individual needs for which no help could be provided due to lack of resources or loss of contact with individuals originally asking for help. 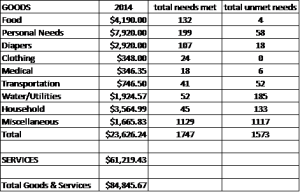 Click the tables to open a larger version of the images.